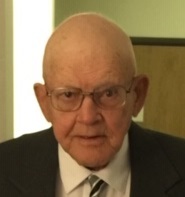 Alva Morton, Jr., 90, of the Kansas City Northland and formerly of Otho and Dayton, IA, passed away March 31, 2019, at home with family at his side. Services will be held at a later date with interment in Otho, IA. In lieu of flowers, memorials are suggested to Christ Lutheran Church in Platte Woods where Alva was a member. Alva was born September 20, 1928, in Ogden, IA, the youngest of three children of Alva and Verna (Breiner) Morton. Along with his parents, Alva was preceded in death by his wife, Betty May (Harris) Morton; and sisters, Wana Anderson and Mona Semprini. Alva served in the U.S. Army during the Korean war. He worked many years as a truck driver for Smithway Express and also managed the Johnston Block Factory in Ft. Dodge, IA. Survivors include his sons, Kent Morton (Loretta) of Kansas City and Dana Morton (Pamela) of Rhinelander, WI; eight grandchildren and seven great grandchildren. Services will be held at a later date with interment in Otho, IA. So many great memories from the Smithway days. Always enjoyed the phone calls I would get from him up until about a year ago. Remember the story he told me about getting back to Fort Dodge to attend our wedding. In order to stay awake driving back across South Dakota the night before, he ate a chili-dog. He knew it would give him heart burn and keep him awake so he could get back for the wedding on Saturday. Truly enjoyed my friendship with Mort and want to offer our deepest sympathies on his passing.